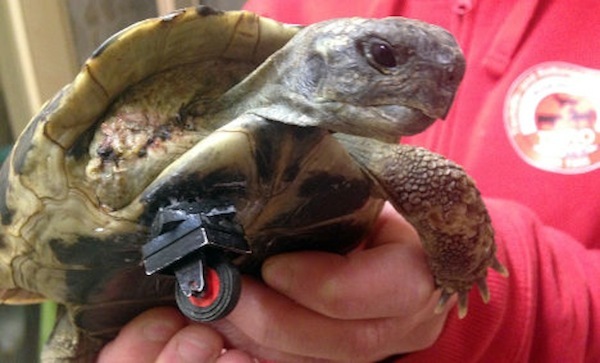 In Germany, an amputee tortoise by the name of Schildi has been given a LEGO wheel to replace his leg. Abandoned by his owners, the animal was “in pretty bad shape” as the lower part of his front leg was gone and maggots had eaten away the upper part. The tortoise was given a double wheel at first, but it did not allow the animal to make turns. The vet replaced it with a single wheel instead. Dr Panagiotis had to use special veterinary surgical glue to attach a base block to Schildi, and added blocks to this special attachment, making sure that it was of the same height as his other legs. Schildi will be examined once in a while for check ups, and the wheel will be replaced when it becomes worn out. 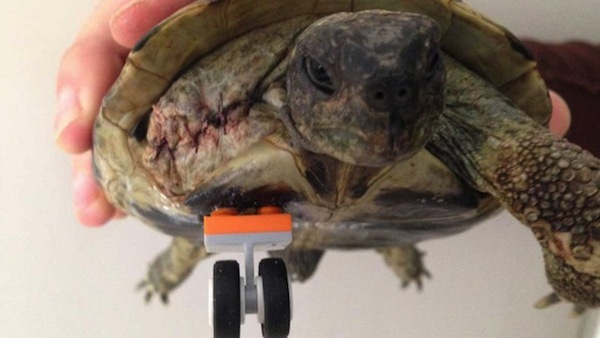 Isn’t it incredible that LEGO bricks can be used on animals in this way? We wonder what else we can do with LEGO to bring joy to other animals’ lives.